Mount Ngauruhoe sunset (2287m) from near summit of Mt Ruapehu. Pinnacle Ridge in foreground. Mt Tongariro (1967m) and Lake Taupo behind. 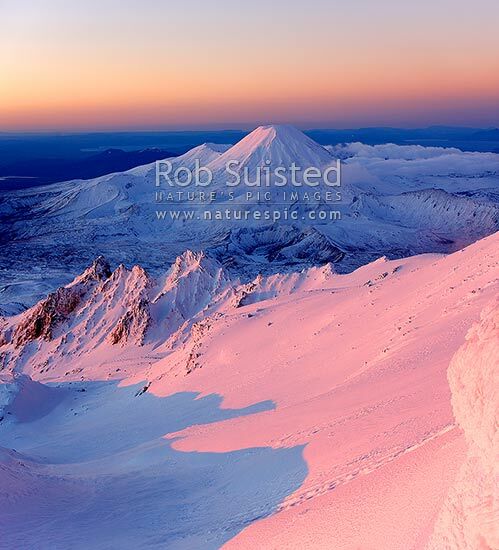 Heavy winter snow, Tongariro National Park, Ruapehu District, Manawatu-Wanganui Region, New Zealand (NZ), stock photo.